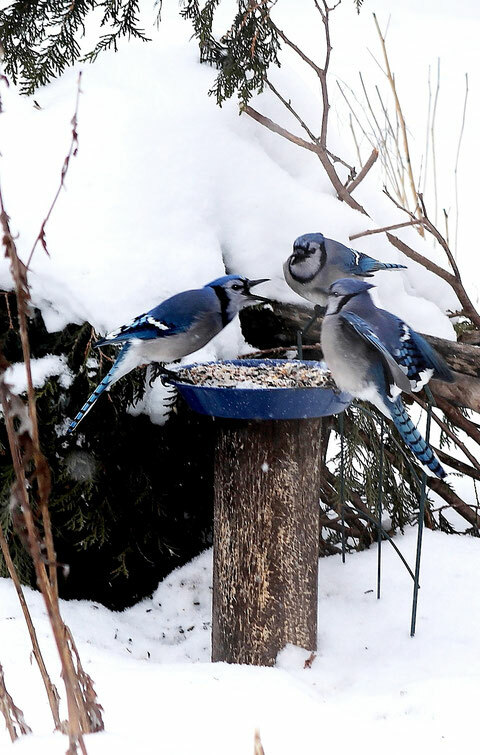 As a feeder watcher, your mission is to count and record the birds that come to your feeder on count day - December 15, 2018. – not 7. This is important – we are collecting data! The total length of time birds were counted on count day. You can choose how much time and when you wish to count, just report the total time. Since we are collecting data, correct identification is very important! If you get an unusual or rare bird, please be prepared to back up your claim, or have an experienced birder from the club help you verify it. If you've spotted a rare visitor at your feeder, a photograph is ideal! If you submit by email, Lori will send you a copy of the totals once the final numbers are compiled. We're grateful for the extra eyes on feeders across the area within the North Bay count circle. Thank you for your help in providing this year's data set for Canada's Christmas Bird Count!